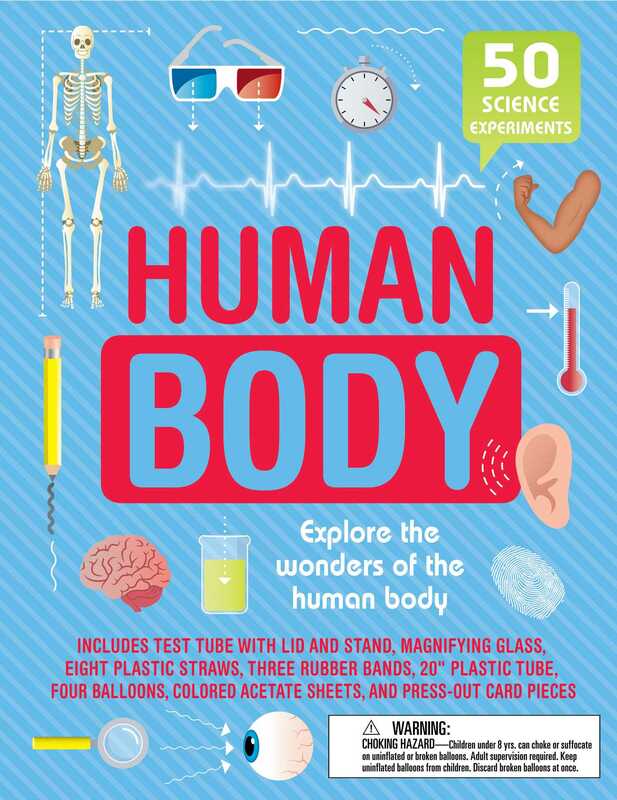 Learn everything you need to know about the functions of the marvelous machine that is your body in this interactive Human Body Science Lab Kit! A 64-page manual including over 50 experiments will teach you about the basic organs, structure, systems, and functions of the human body, and step-by-step instructions lead you through fun activities like re-creating the stages of digestion or exploring reflexes by building a simple robotic hand! Make anatomy lessons fun and memorable with the easy-to-follow experiments, including taking fingerprints, measuring lung capacity, building a stethoscope, and more!